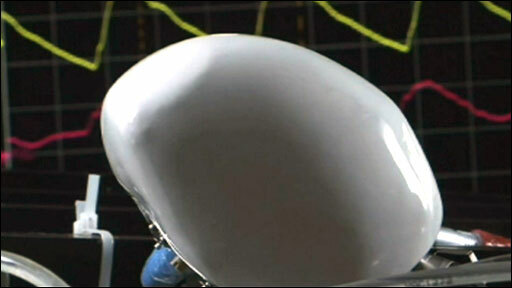 Scientists say they have a working prototype of a fully artificial heart ready for implanting in humans. The device beats almost exactly like the real thing using electronic sensors to regulate heart rate and blood flow. Developers Carmat now need approval from the French authorities before pushing ahead with clinical trials. But heart experts warned it was still early days as previous attempts to create a fully artificial heart had failed during human testing. 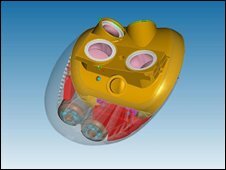 Several teams from around the world have been working to develop the perfect artificial heart that could be fitted into the 20,000 patients worldwide unable to receive a life-saving heart transplant because of a shortage of donor organs. Heart specialist Alain Carpentier said it had taken him 15 years to perfect and claimed his device overcomes some of the drawbacks with other prototypes. The new heart is covered with specially treated tissue to avoid rejection by the body's immune system and the formation of blood clots. However, the power supply for the heart remains a significant hurdle. Carmat, the company founded by Professor Carpentier and Europe's aerospace and defence giant EADS, says the battery could last for between five and 16 hours after which it would have to be recharged to prevent the artificial heart stopping. Professor Carpentier's team is studying two options that do not require wires crossing the skin because these pose an infection risk. Professor Carpentier said the heart was necessary given the chronic shortage of heart donors and growing heart patient waiting lists. "I couldn't stand seeing young, active people dying aged 40 from massive heart attacks," he said. Heart disease claims some 17 million lives a year. Existing pneumatic heart implants are intended only to be used as a stop-gap during transplant operations or while patients await a donor organ. Peter Weissberg of the British Heart Foundation said: "This is the latest attempt to engineer an artificial heart that will do the heart's job effectively without any dangerous side effects. "Despite their early promise in laboratory experiments most versions so far have not performed as well as predicted when tried in patients - they either fail to do the job properly or, more commonly, cause debilitating side effects like infections or blood clots. "Only properly conducted clinical trials will establish whether this version will live up to the claims made by its manufacturers."